RUTLAND — In a highly anticipated ruling, U.S. District Judge Geoffrey Crawford has denied a motion by Donald Fell’s defense seeking to declare the Federal Death Penalty Act unconstitutional as cruel and unusual punishment. The 57-page decision issued Tuesday, Dec. 13, states that it is not within a trial judge’s purview to overrule the majority position of the U.S. Supreme Court, which upheld the constitutionality of the death penalty in a widely cited 2015 ruling, Glossip v. Gross. Crawford’s decision came after two weeks of hearings over the summer related to Fell’s upcoming retrial in the kidnapping and slaying of North Clarendon resident Teresca King. Vermont has no state death penalty — it was abolished in 1965 — but because the victim was kidnapped and taken across state lines into New York, the case comes under federal jurisdiction. 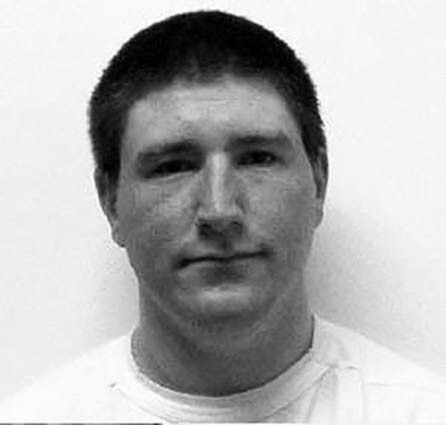 Fell’s lawyers argued that the death penalty jury selection process violated his constitutional right to a fair and impartial trial and that the death penalty itself, applied in an arbitrary and capricious manner, violates Eighth Amendment protections against cruel and unusual punishment. Though Crawford agreed with many of the defense’s arguments — in some cases declaring them all but incontrovertible — he chose not to challenge 40 years of case law. “A federal trial judge is without authority to rewrite the law so as to overrule the majority position at the Supreme Court,” he wrote. However, Crawford documented in exhaustive and measured detail a number of flaws associated with the application of the death penalty. He found a preponderance of evidence showing that juries screened for death penalty cases — whose members have indicated they aren’t opposed to capital punishment — are more likely to convict than jurors “who more closely mirror the full range of moral values in our society.” He said the defense had demonstrated unequivocally that the decision to impose the death penalty is “subjective, multi-factorial, unpredictable and … irremediably arbitrary.” And solitary confinement of death row inmates, sometimes for decades, he said, is “highly damaging” and most likely unjustified. In a damning conclusion, Crawford stated that measures designed to improve the reliability of the system of capital punishment in the United States had largely failed. Crawford also closely examined whether the death penalty acts as a form of deterrence and said it was one of the few hotly contested issues throughout the hearings. He found that the evidence supporting either side was inconclusive but pointed to studies conducted by the National Research Council showing that the deterrent effect should not be considered when making policy decisions about the death penalty. Crawford rejected the defense argument that capital punishment is disproportionate in all homicide cases and noted that the Supreme Court’s rulings on this matter have been far narrower. The court has ruled that people with intellectual disabilities and minors under the age of 18 should be spared the death penalty. Although Crawford concluded that “the lower court lacks authority under any meaningful rule of law to alter the higher court’s ruling,” he did see a role for the lower courts in “conducting an inquiry and setting the table for further review.” He noted that Justice Stephen Breyer, in his dissent to the Glossip ruling, concluded that the death penalty likely constitutes cruel and unusual punishment. The executive director of the nonpartisan Death Penalty Information Project, which seeks to shed light on issues related to capital punishment, said Crawford’s reasoning was sound. “His findings of fact support a legal conclusion that after 40 years of experience, the federal death penalty and the death penalty as a whole in the U.S. is administered in a manner that is arbitrary and capricious,” said Robert Dunham, head of the organization. Dunham said the potential impact of Crawford’s decision depends on several variables. “The immediate practical effect is that the trial will proceed but the appellate issue is preserved, and it is preserved with a factual record that favors Fell,” Dunham said. According to Dunham, there are certain circumstances under which the defense can appeal what is known as an interlocutory ruling. The government could also decide to no longer pursue the death penalty in Fell’s retrial, in which case the Crawford ruling would have little or no bearing on future decisions. Under those circumstances, Dunham said, the ruling “becomes persuasive but not binding.” In addition, if Fell is convicted and the jury returns a verdict of life in prison and not death, then the death penalty itself would not be grounds for an appeal. Defense counsel could not be reached for comment. Fell’s retrial is scheduled to begin in late February or early March. However, on Friday the defense filed a motion seeking to postpone the trial in part because its lead counsel is involved in another capital case in Boston that hasn’t ended. At a contentious status conference Monday, Dec. 12, prosecutors said they were “dismayed at yet another motion to continue.” Crawford said he would rule on that motion soon.